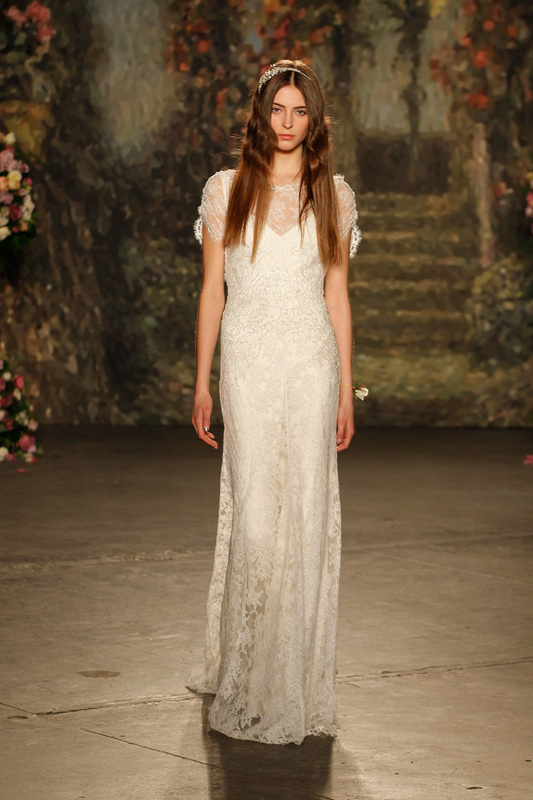 If your a Packham girl, than your REALLY a Packham girl, a wedding dress designer that has spurred on a cult like following. 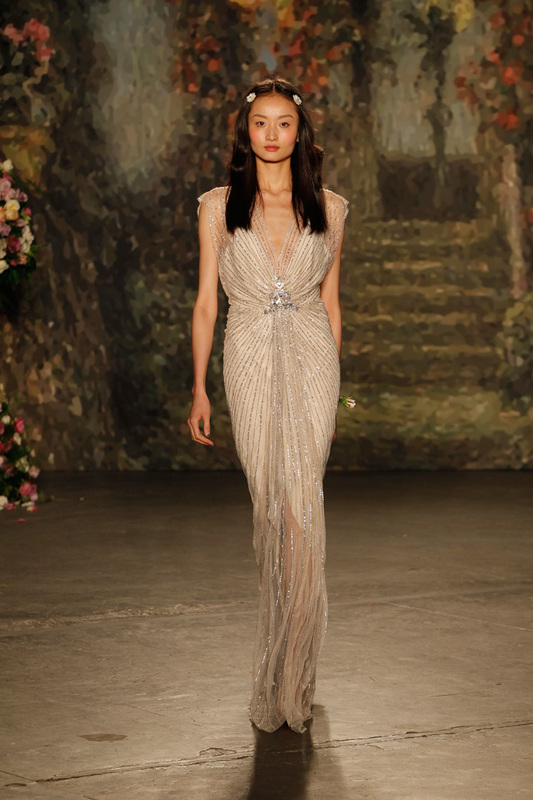 With a finger print style that can be identified from a 100 yards away, Jenny Packham’s gown exude sleek sophistication sometimes with a sultry retro edge. 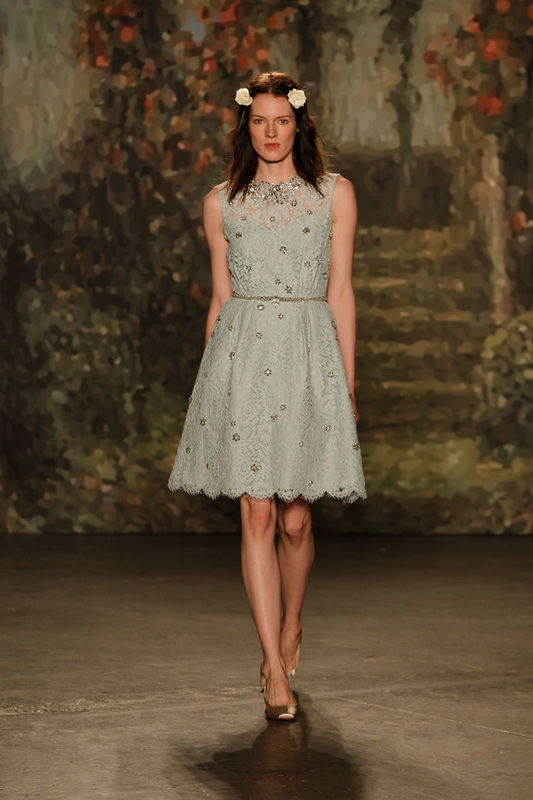 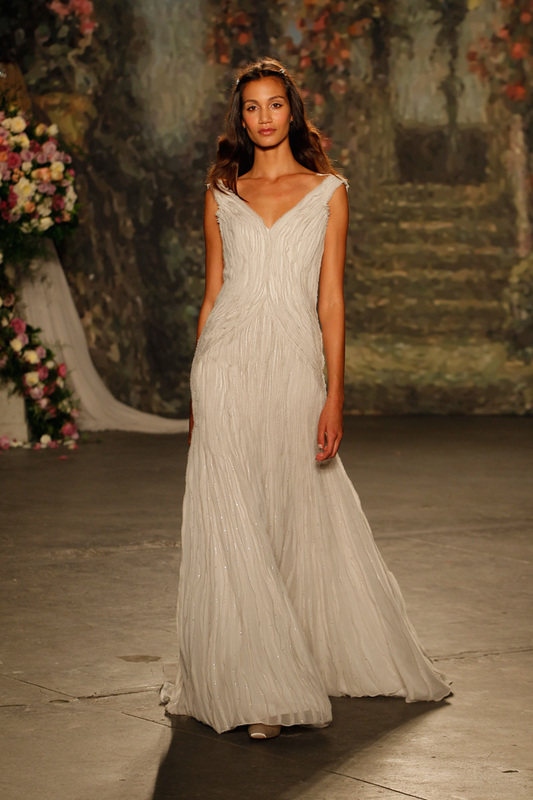 For her 2016 collection Packham drew inspiration from the classic Midsummer’s Nights Dream artfully wielding elements like silk chiffon & ostrich feathers to craft the collection. 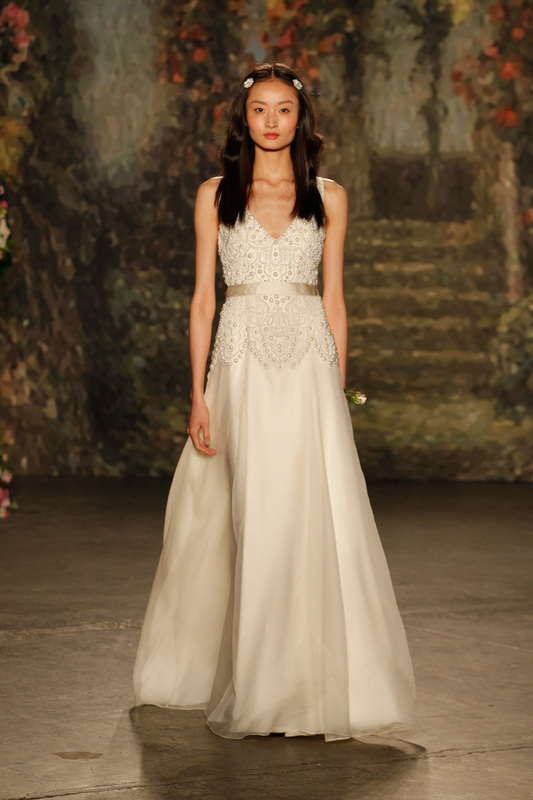 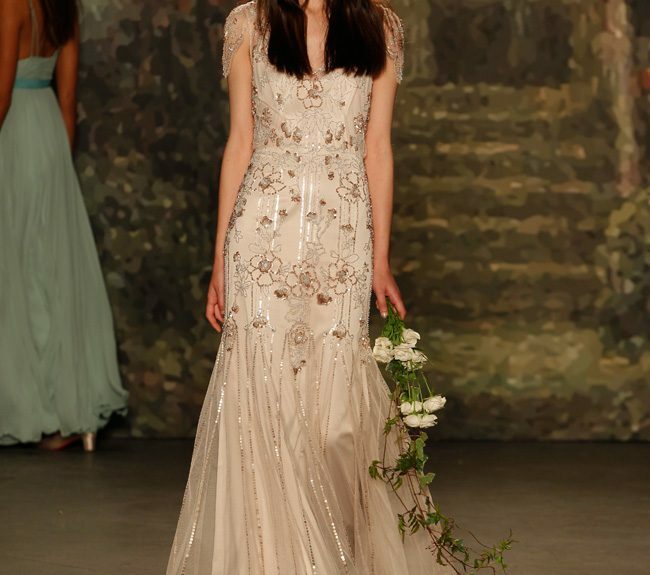 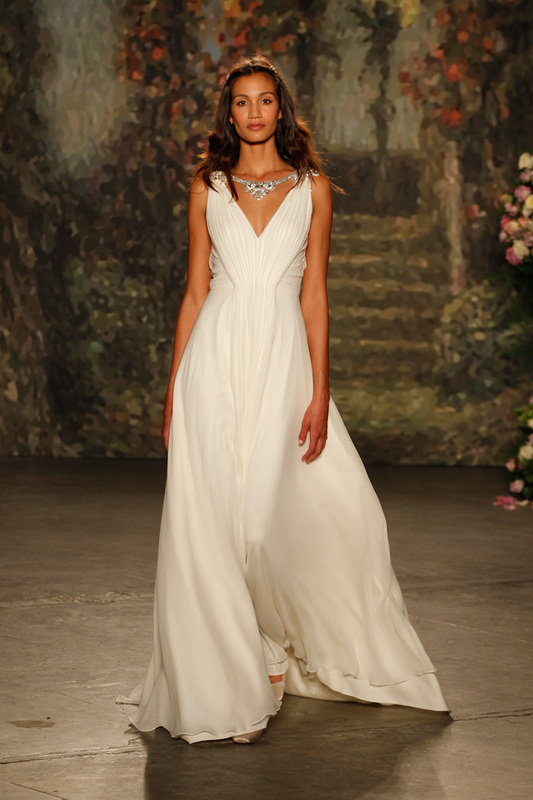 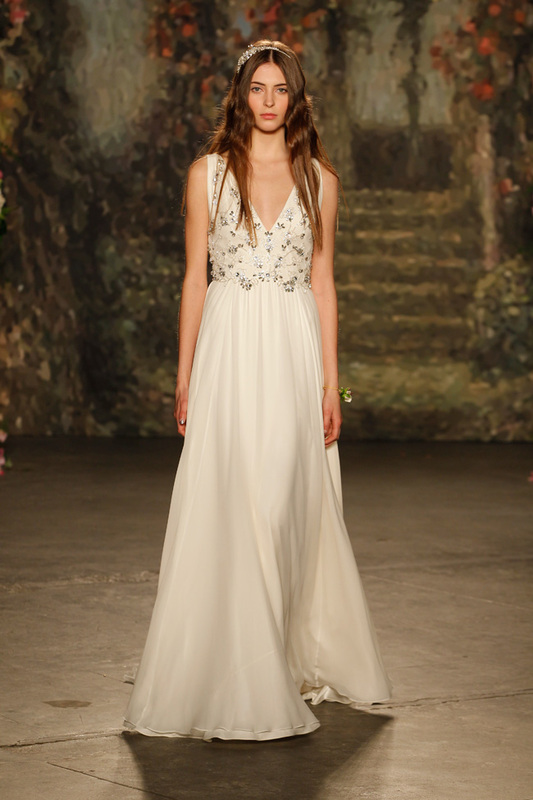 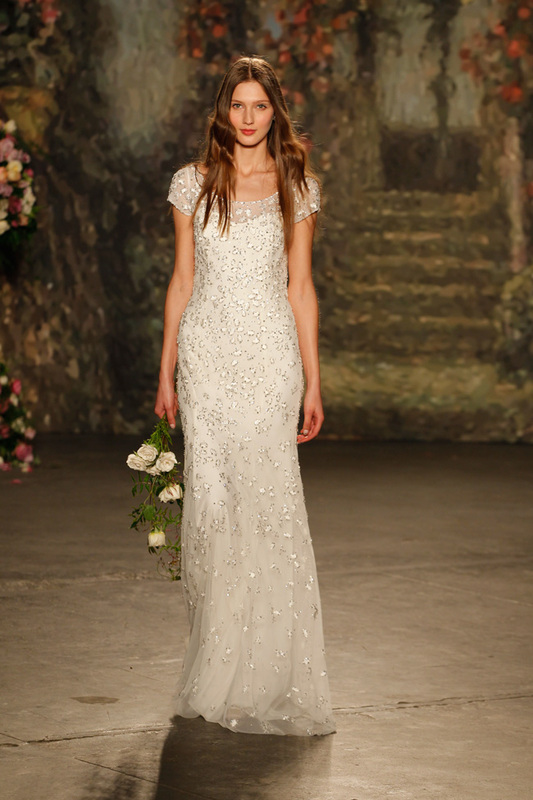 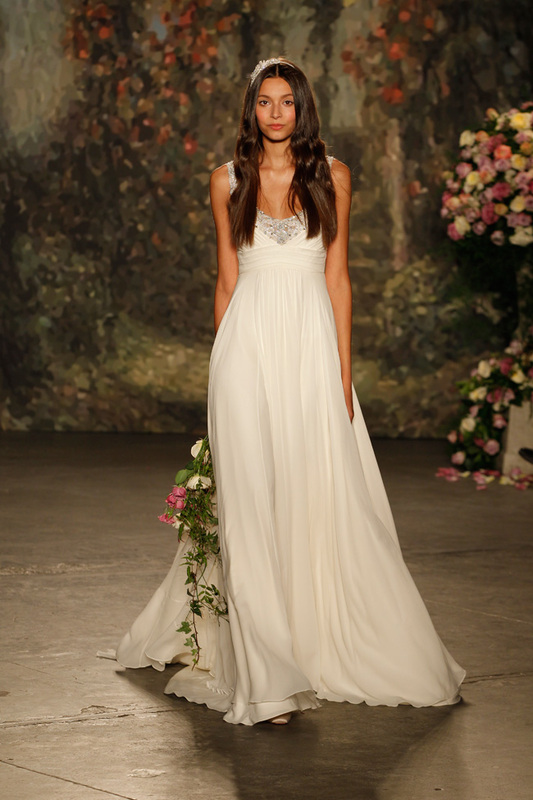 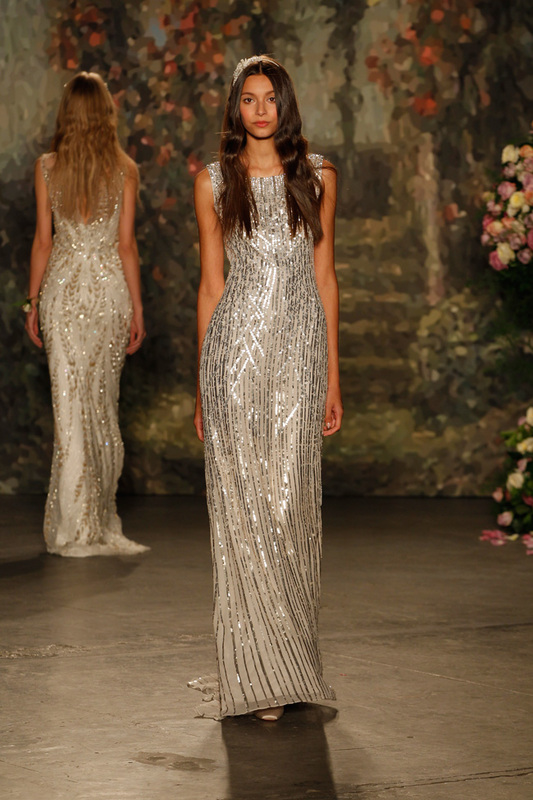 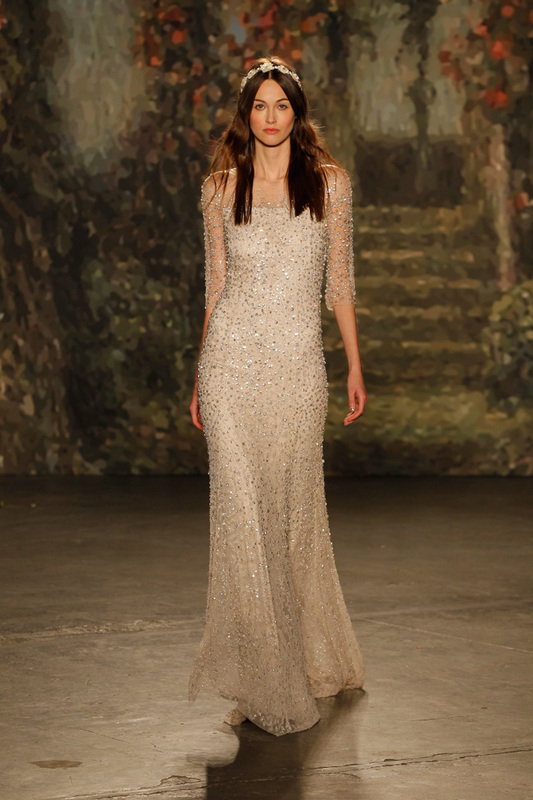 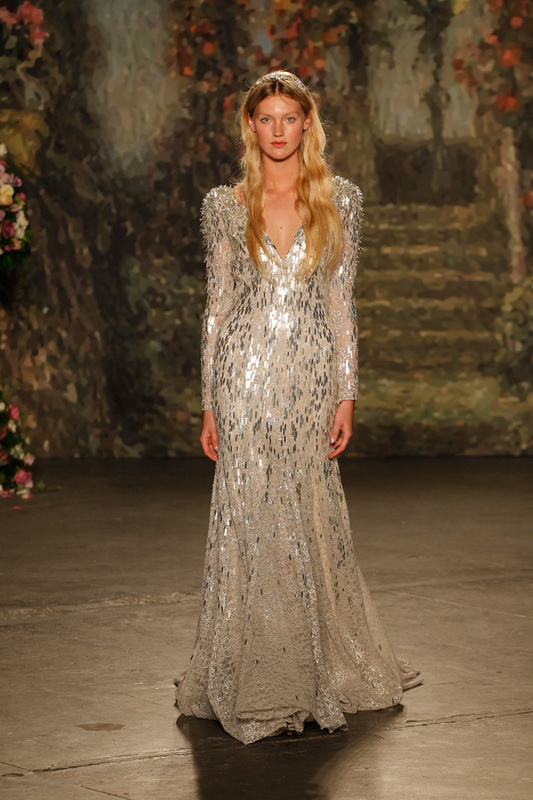 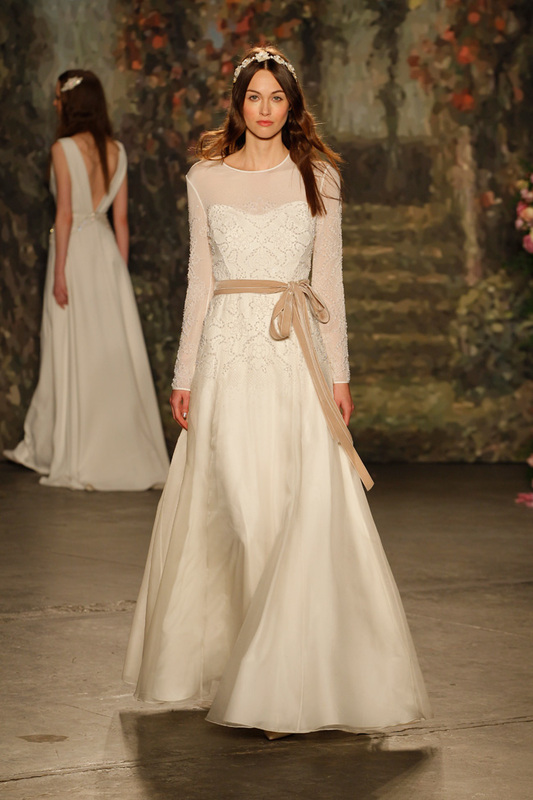 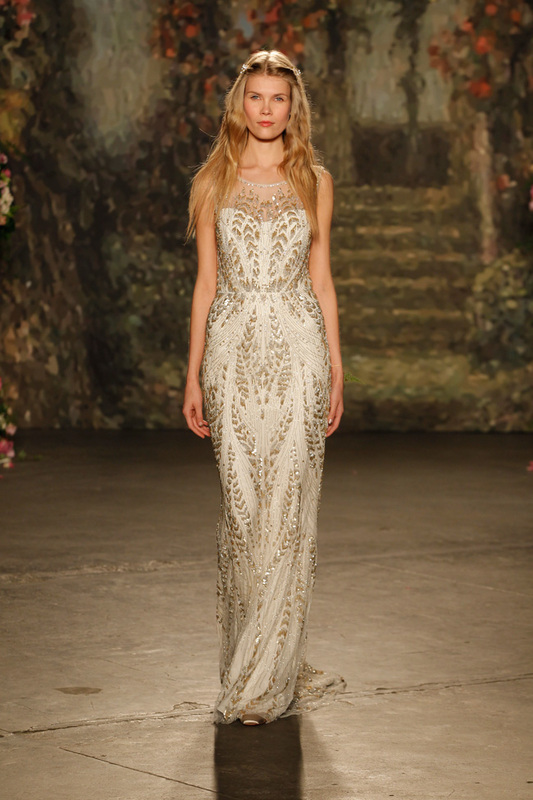 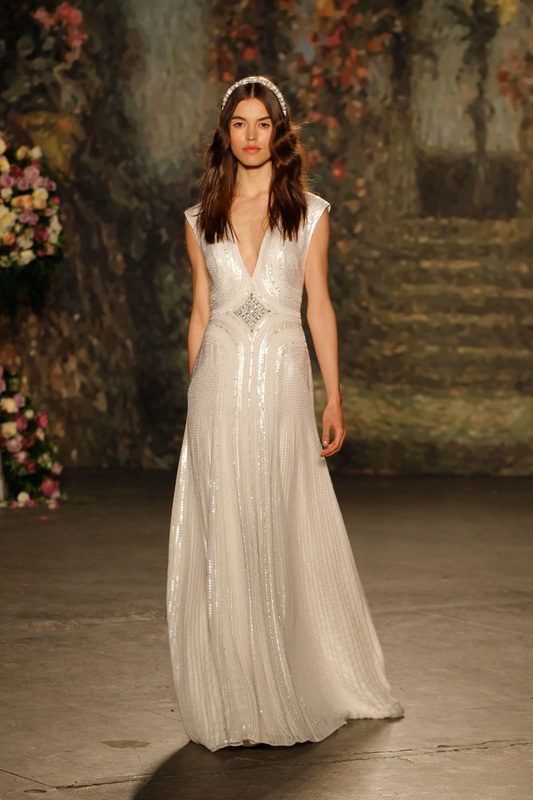 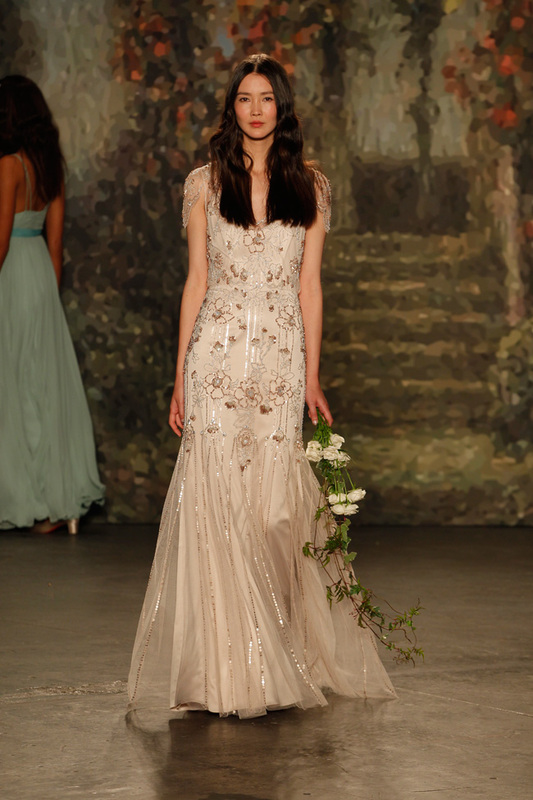 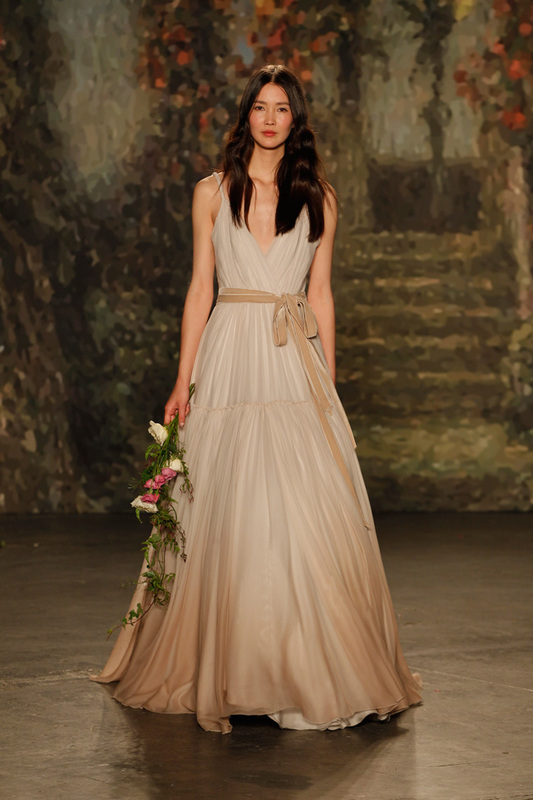 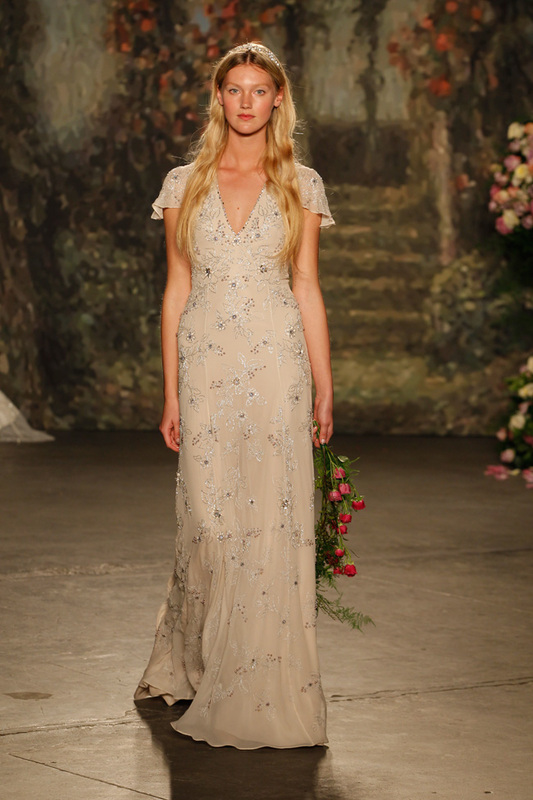 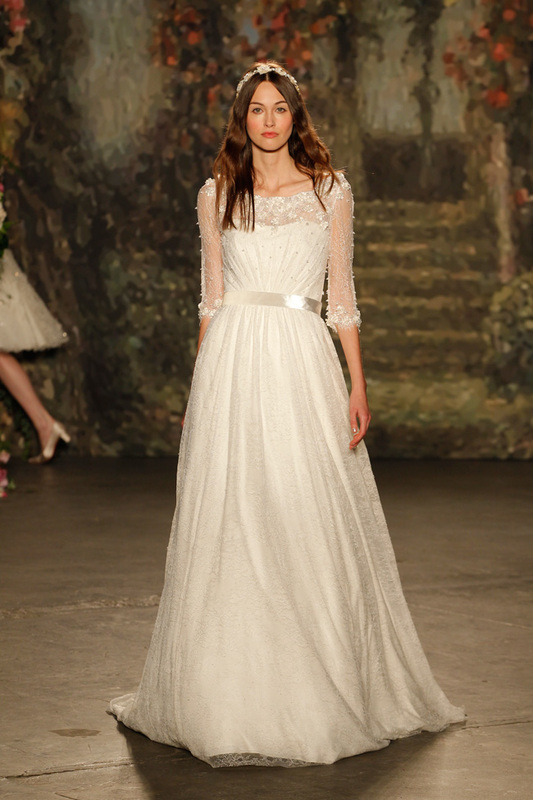 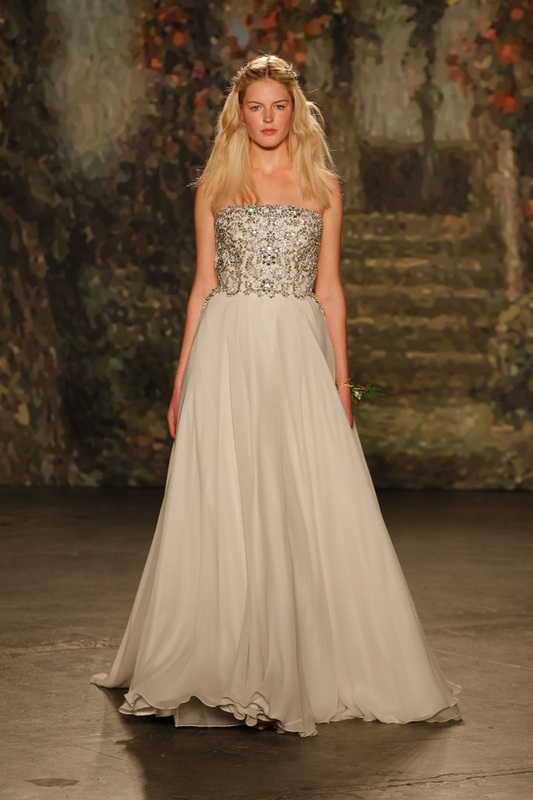 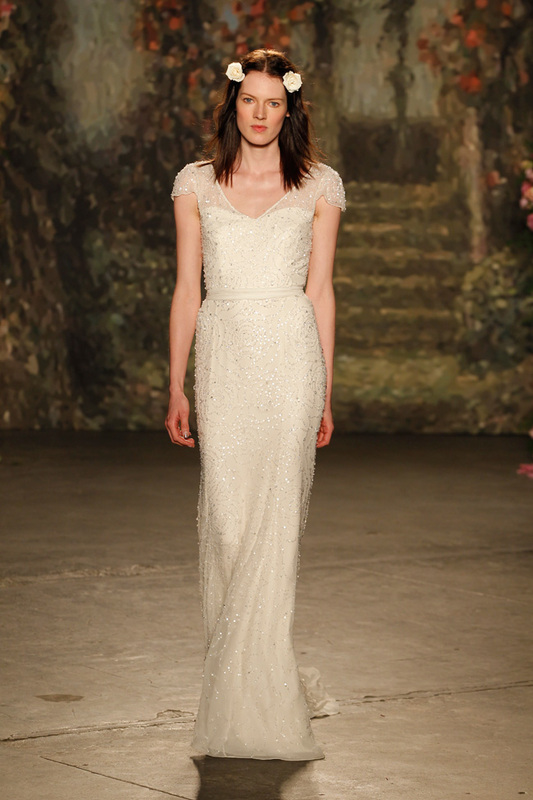 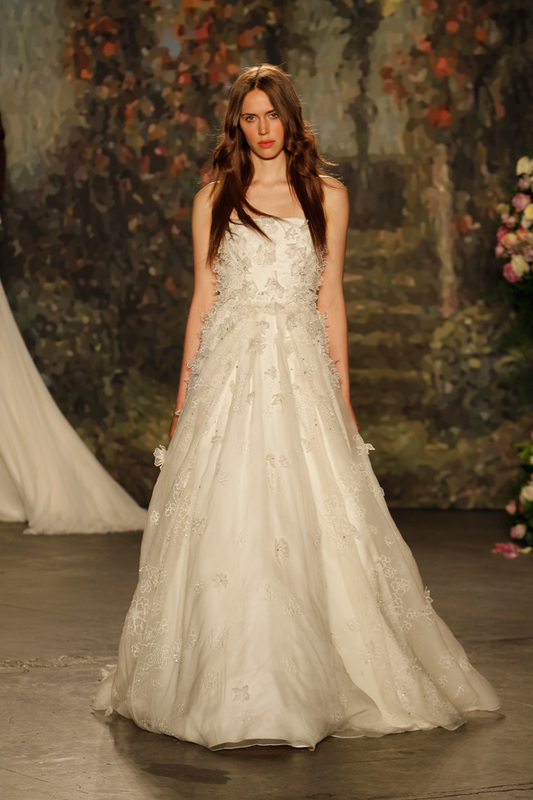 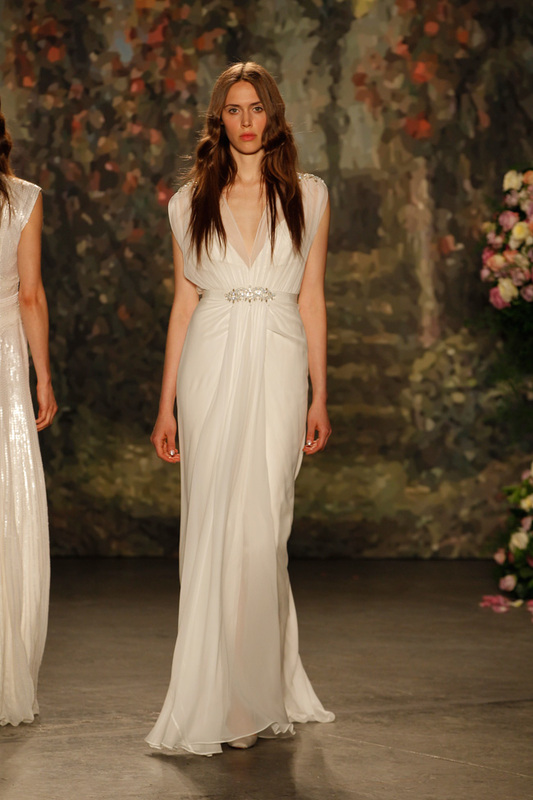 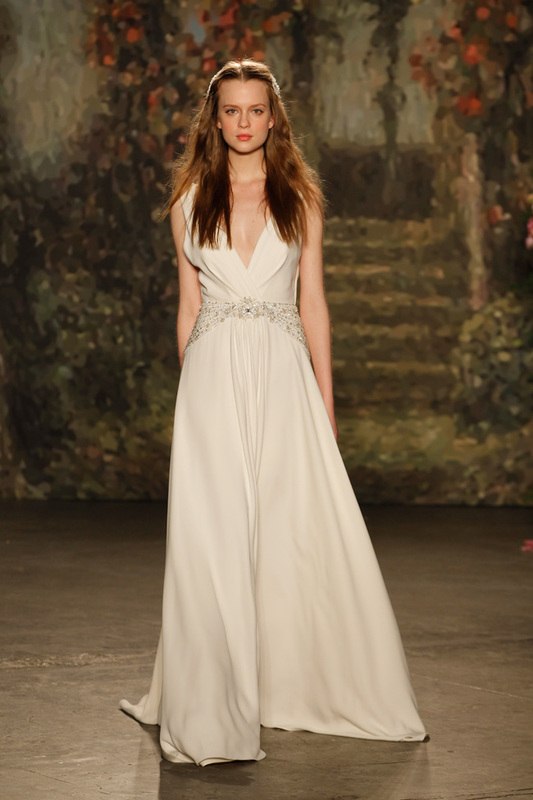 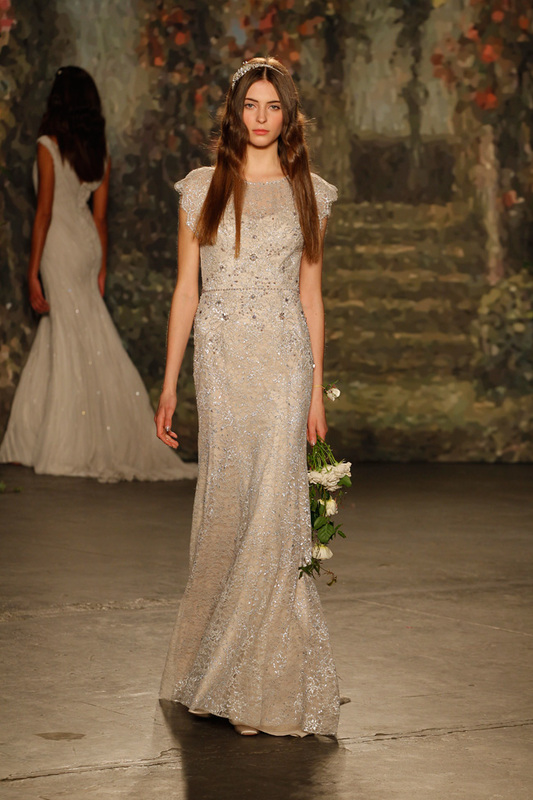 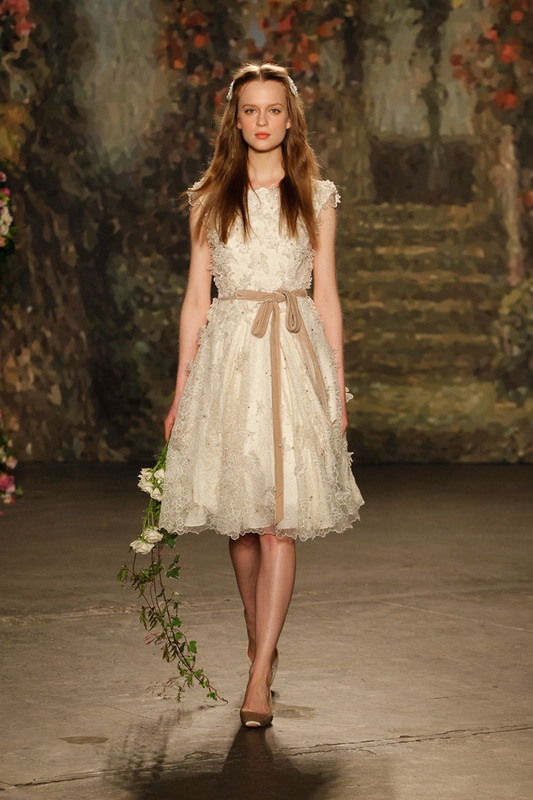 While much of the collection is deeply entrenched in the signature Jenny Packham wedding dress sense of style there are a few notable standouts which break through the mold. 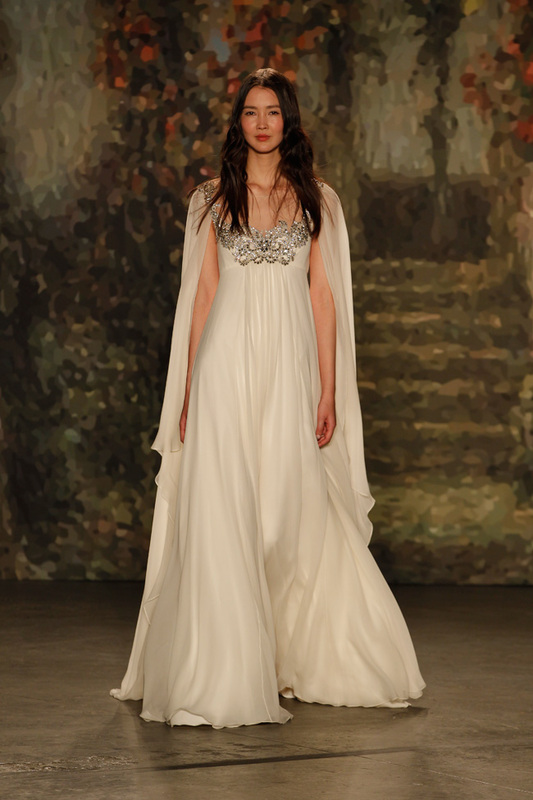 The show opener was my personal favorite, a caped gown that could literally do no wrong with movement that would stop the heavens. 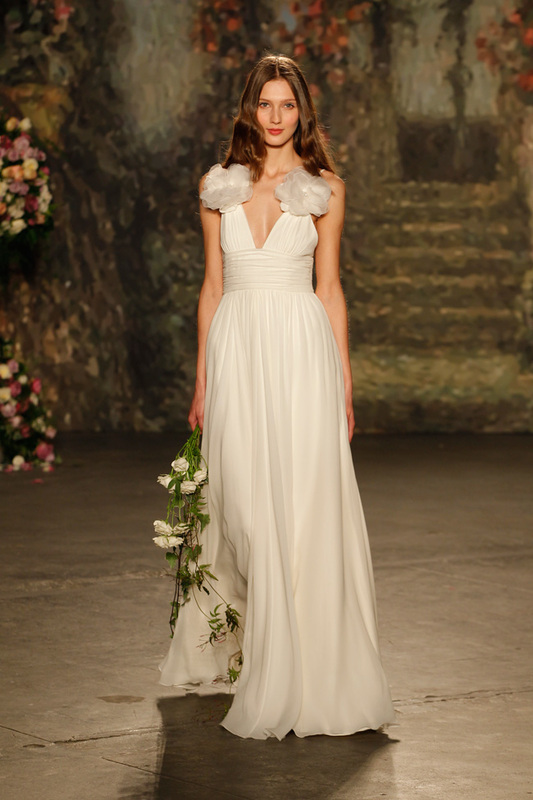 Applique organza blooms were a fresh introduction ranging from over-sized statement pieces to those of a more petite fashion delicately dotting their way along a gown. 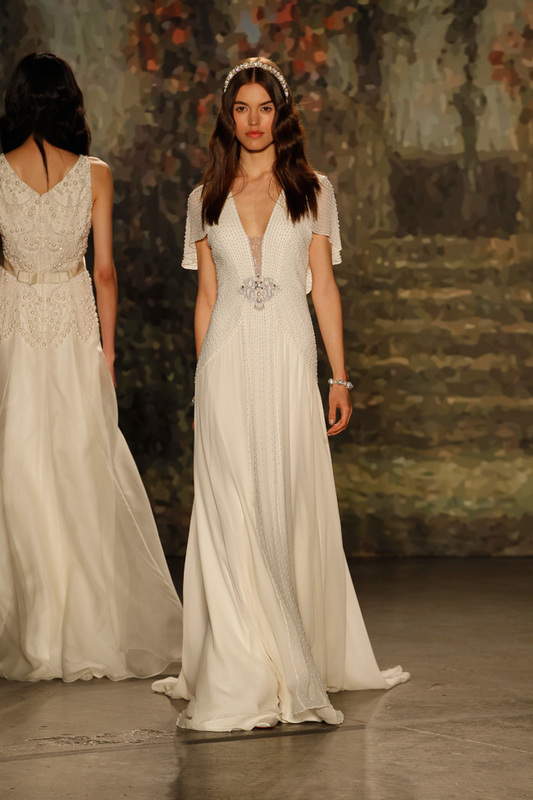 The collection as a whole is skillful interpretation of Shakespeare’s dreamy classic allowing for both the refined polished bride as well as the free-spirited bride to find pieces to love.